A gang member was arrested in Southwest Fresno with a World War 1 rifle, Fresno Police said. 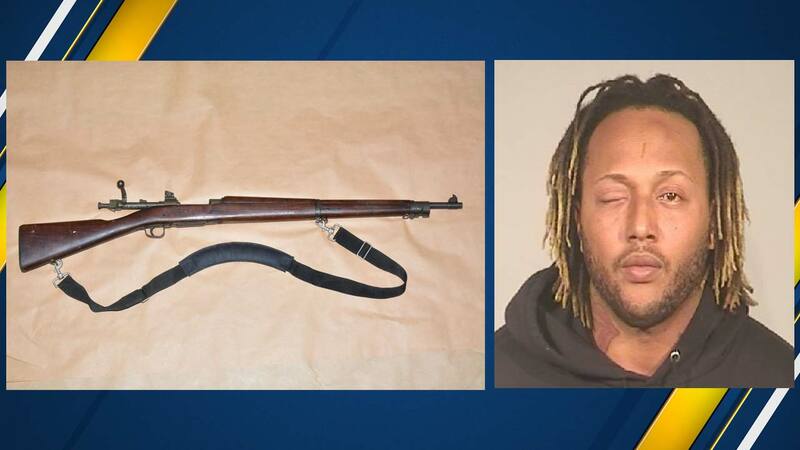 FRESNO, Calif. (KFSN) -- A gang member was arrested in Southwest Fresno with a World War 1 rifle, Fresno Police said. Authorities said they saw a wanted felon, identified as 32-year-old Randy Flowers, in the area of Jensen and Cherry Avenues in Southwest Fresno. They lost Flowers for a brief time but eventually located him parked at a house on South Ivy Avenue. Police set a perimeter and used the PA system to call out the residence of the house along with Flowers. Flowers was on probation for conspiring to commit pimping of a minor. During a probation compliance search of his bedroom officers located a Springfield 1903 .30-06 bolt-action rifle. Flowers was arrested and booked into the Fresno County Jail on a probation violation warrant and for possessing a rifle as a convicted felon.